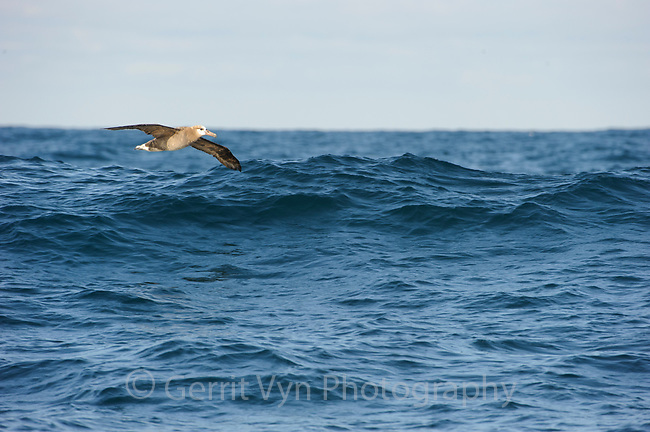 Black-footed Albatross (Phoebastria nigripes) dynamic soaring over an opean ocean wave. Gray's Harbor County, Washington. October.